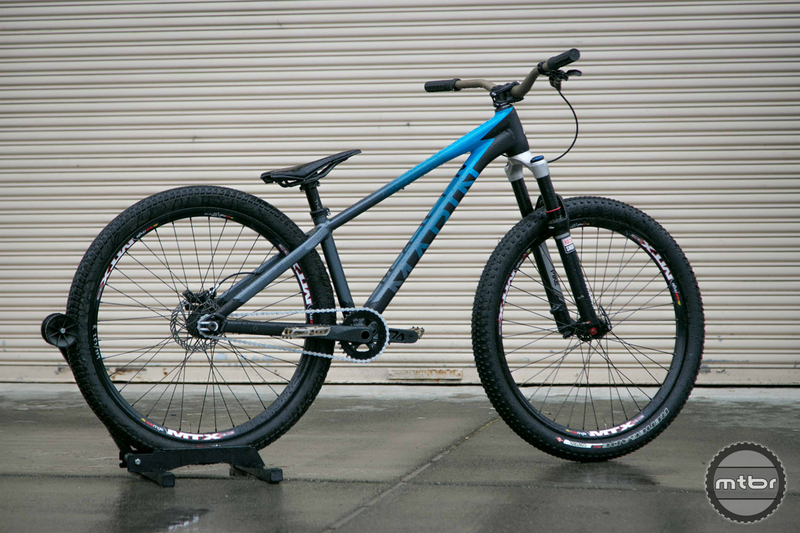 The new Marin Alcatraz was designed with input from slopestyle rider Matt Jones. When Marin signed slopestyle phenom Matt Jones last year, we had a feeling a new dirt jumper would soon be in the works. Over the past few months, Jones has been spied riding prototypes, but recently he began posting images of a production ready frame. Check out that tapered headtube. 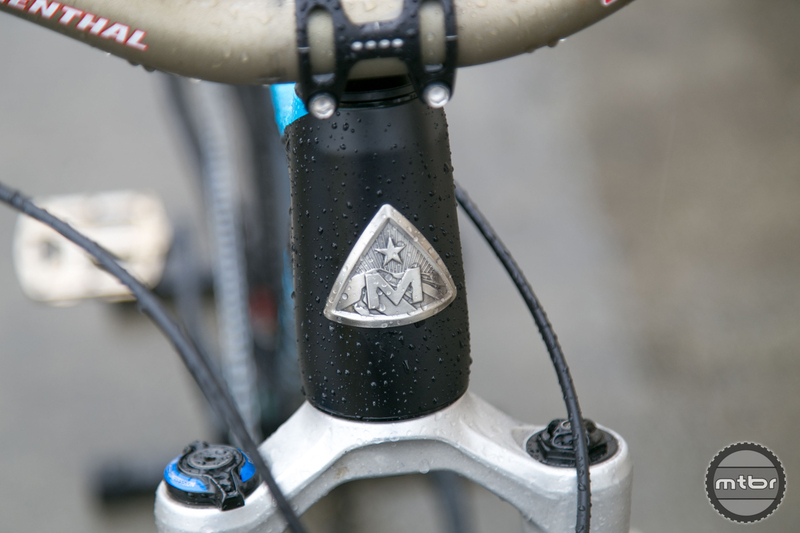 To learn more, we dropped by Marin’s California headquarters. They were tight lipped because they’re still finalizing minor details, but they let us photograph a sample frame that MTB product manager Matt Cipes was testing. The new frame is alloy. The previous Alcatraz, which was successfully ridden by Andrew Taylor, was fabricated from 4130 Chromoly. The new frame is aluminum, which is both lighter and stiffer. Loving that fade to black paint. 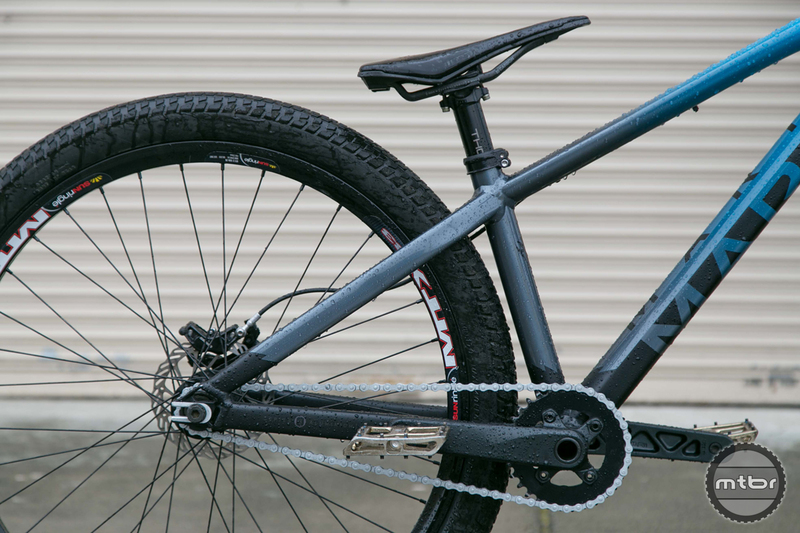 Marin wouldn’t provide any geometry numbers, but the previous version had 15.5” (393.7mm) chainstays. It’s safe to assume the new bike is somewhere in this same range. 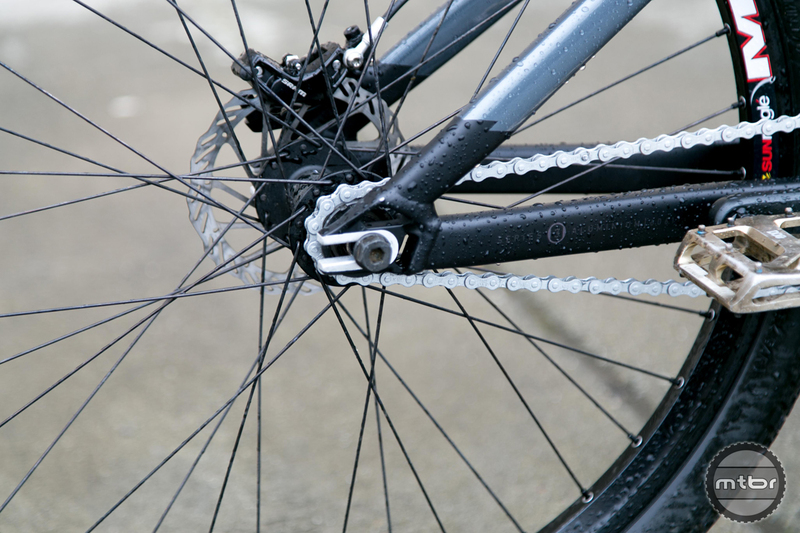 Horizontal dropouts allow chainstay length adjustment. 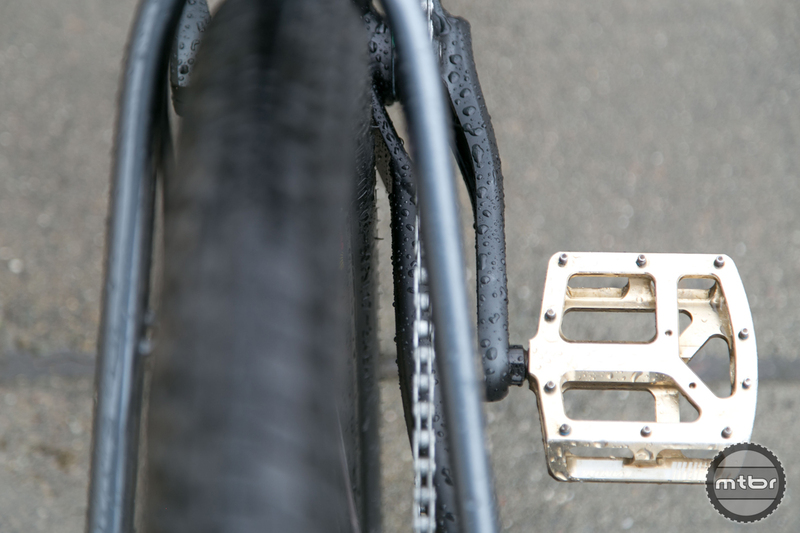 The bike does have horizontal dropouts, so you can adjust the chainstay length to suit your preferences. 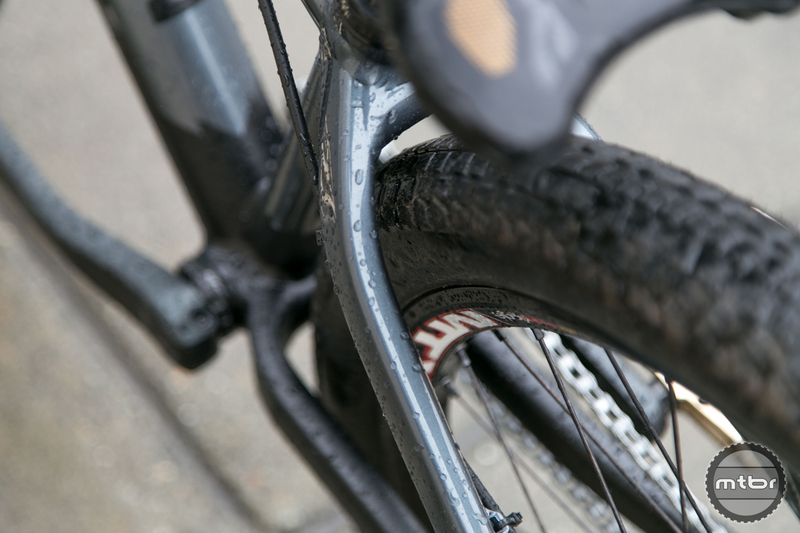 Despite the slammed rear wheel, there’s plenty of tire clearance. Want to see the new bike in action? 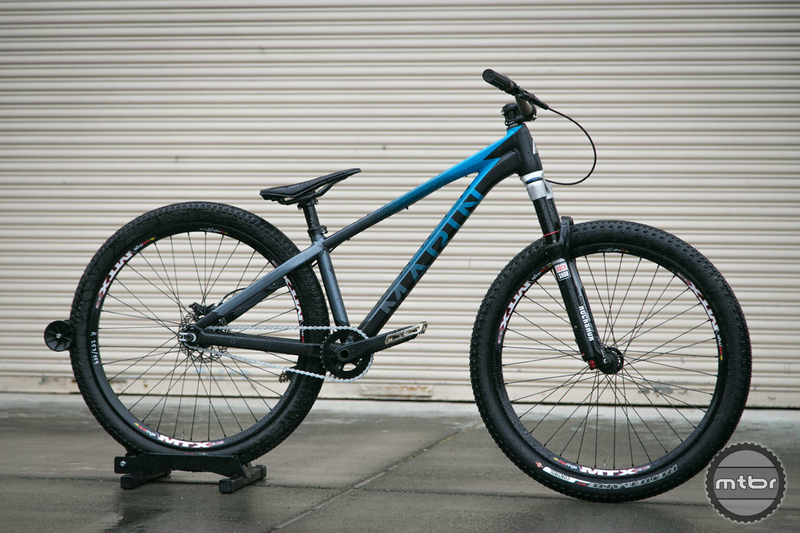 Check out this short video Matt Jones recently posted of his New Bike Day. 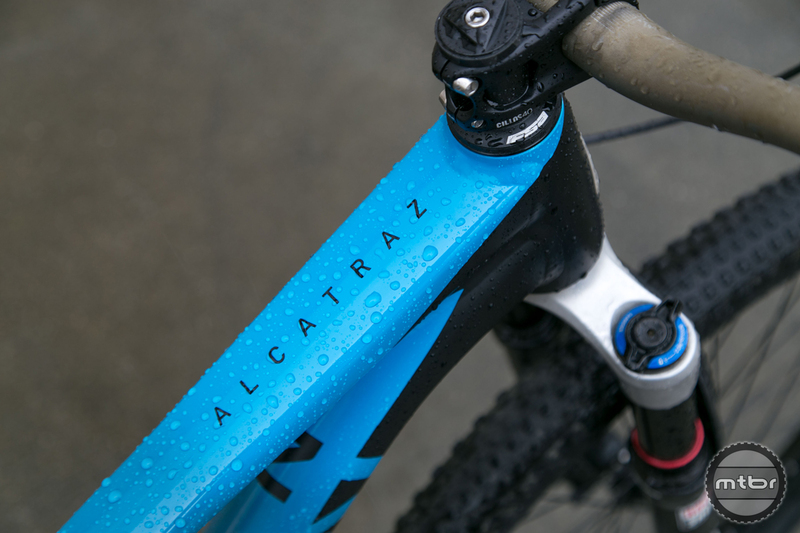 The new Alcatraz has great lines and a killer paint job. Anyone else have a soft spot for dirt jumpers? For more info, stay tuned to marinbikes.com.